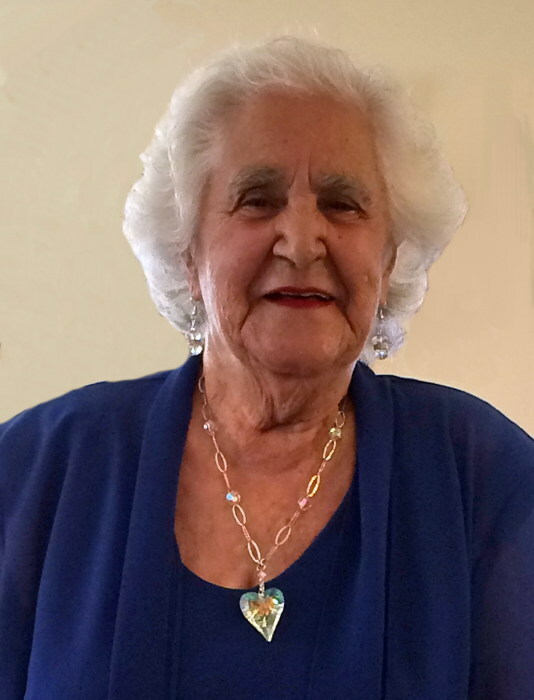 Obituary for Mary (Mouyal) Deering | Crouch Funeral Home, P.A. Mary Deering, 89 of Aberdeen, MD, formerly of North East, MD passed away Sunday, March 18, 2018 in the Senator Bob Hooper Hospice House, Forest Hill, MD. Born in Casa Blanca, French Morocco, on May 28, 1928, she was the daughter of the late Judah and Simy (Ruimi) Mouyal. She was the wife of the late Richard Edward Deering who passed in 2008. Prior to her retirement, Mrs. Deering worked as a waitress. She is survived by three daughters: Patricia Ozga of Fleetwood, PA, Renee Cecil of Rainell, WV and Roxanne Harrison of Paradise, PA; two sons: Richard Charles Deering of Boca Raton, FL and Robert Deering of Denver, PA; 12 grandchildren; 21 great grandchildren; and 2 sisters: Esther Asamba of Israel and Annette Benaloun of France. Funeral service will be held Sunday, March 25, 2018 at 2:00 pm at Crouch Funeral Home, P.A., 127 South Main Street, North East, MD, with visitation beginning at 1:00 pm until service time. Interment will be on Monday, March 26, 2018 at 1:00 pm in Pine Swamp Cemetery, Elverson, PA. In lieu of flowers, memorial donations may be made to the Senator Bob Hooper Hospice House, in care of the funeral home.